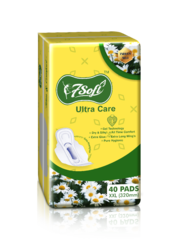 Leading Manufacturer of 240mm dry net sanitary napkin, 320 mm ultra care sanitary pads, heavy flow maxi dry sanitary pad, maxi care sanitary pads, ultra dry clean 320mm sanitary napkins and xxl sanitary pads from Surat. 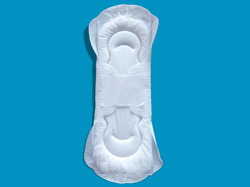 Perfect wings stay the pad in place & help in better protection from side leak. 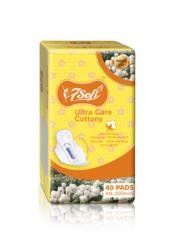 Help long-lasting best cottony-soft feel. 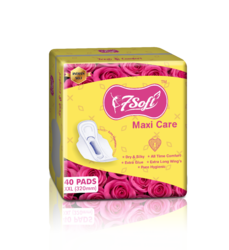 Extra Sure Sanitary napkins are manufactured using High quality of raw material. 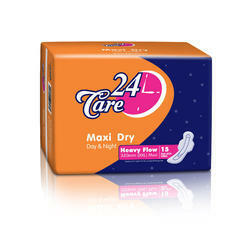 We offer 320 MM Maxi with 85 ml Absorption capacity. 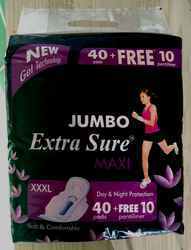 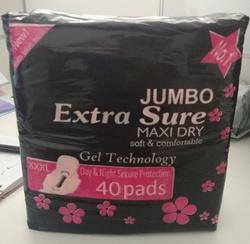 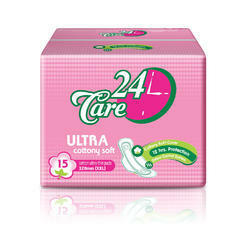 We are offering Extra Sure with 40+10 Sanitary napkins.